One of the greatest things about being a photographer on the West Coast of Florida is the endless opportunities to shoot at the beach. 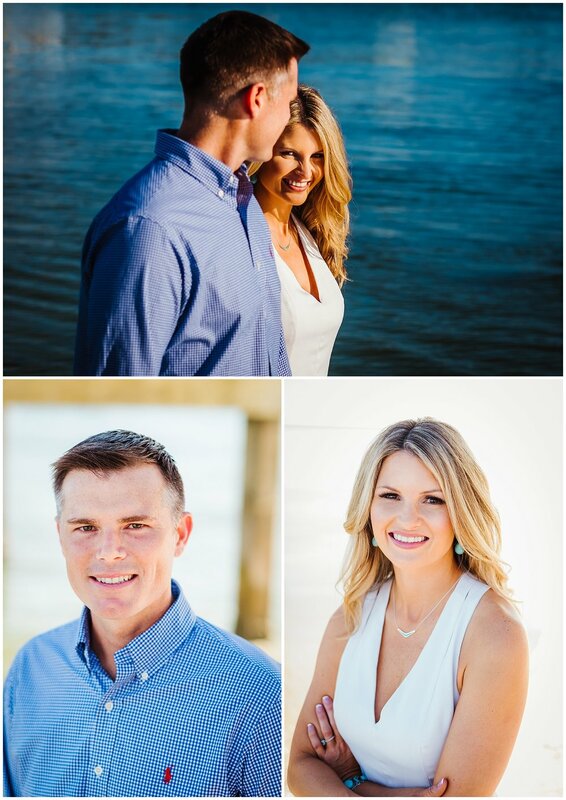 I was honored to get these engagement photos for Lauren and Marshall, who are such an effortlessly elegant couple! The pier gave us a great background texture to play with, but it is the genuine smiles that really make these images special. I just LOVE photographing love! These images really reached epic proportions when the sun began to fall in the sky, Lauren donned this to-die-for blush dress, and I found out they were willing to do a little rock climbing! Everything came together at this perfect moment where Lauren and Marshall are standing on a rock, like their own private island surrounded by water, and the sky was painted with a halo of colors. It was as if nature itself was pointing to this beautiful pair.